This Muzzle is made of top quality dog-safe materials that are safe for dog’s health. Inside soft Nappa padding protects your dog’s snout from rubbing and irritation, so it is rather comfortable for your pet to wear this dog item. 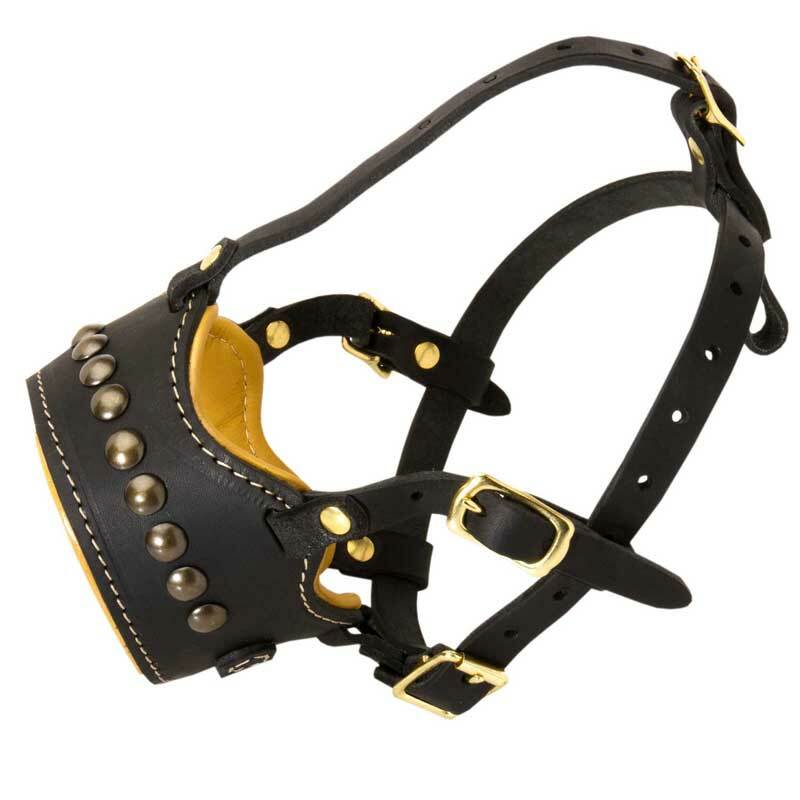 Besides, this Muzzle is very fashionable because it is decorated with a row of shiny brass studs. Careful white stitching at the edges also adds stylish look as well as additional durability. 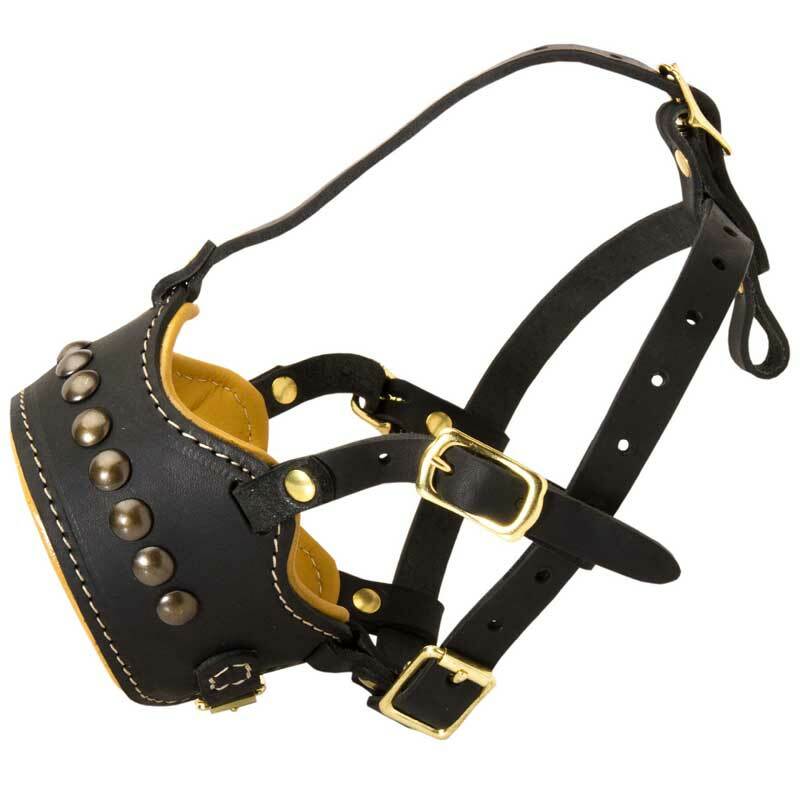 This Dog Muzzle has an unusual design, in particular open-nose form. Thanks to such form your Rottweiler won’t have any problems with breathing. The other thing that distinguishes this Muzzle among others is the fact that it is universal in use. It is possible to use this dog supply for daily safe walking, visiting public places, obedience training and visiting a vet.